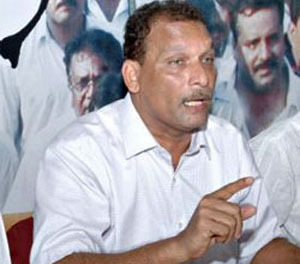 Mangaluru, July 26, 2015: Briefing media on July 25, Saturday, MLC Ivan D’Souza has said the State government has agreed to release in principle a sum of Rs 92.37 lakh for construction of RUB at Adyar Kemmanjoor. The residents of the region have been demanding RUB for the last 30 years. The MLC said the State government will bear the entire project cost and threby has responded to the demands of the people. Former Union Minister Oscar Fernandes had written to the Centre seeking funds in 1996. Later, former ministers Janardhan Poojary, Krishna Palemar, Sadananda Gowda, Nagaraj Shetty too had written to the centre seeking release of funds for the construction of RUB. Recently, the MP had said that if the State government releases the fund, the RUB can be constructed. The MLC said for the question raised in the recently concluded session, the Minister for Infrastructure Development, Minister for Information and Hajj Roshan Baig has agreed to release the fund in principle. Once the Railways submits a detailed estimate, the funds will be released. The MP should impress upon the railways to prepare an estimate for the project, he added. Stating that the railway budget had announced upgrading Mangalore Central Railway Station four years ago, the MLC said the proposal has not been released so far. A report on the upgradation of the station has been submitted to the Railway Board. He urged the MP to take a delegation of MLAs and MLCs to the Centre, to impress upon the Minister for Railways to take forward the proposal on upgradation of railway station. Under CM relief fund, seven beneficiaries were given a sum of Rs 3,52,739 on the occasion.